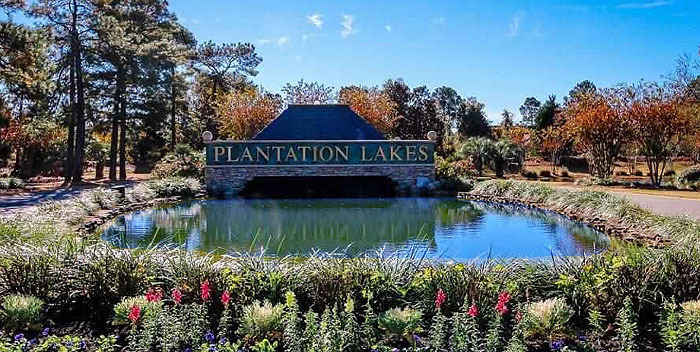 Plantation Lakes is a custom-built luxury home community in Carolina Forest. Enjoy a lakefront or wooded home lot. With 15 miles of shoreline, enjoy direct access to the Amenities center by boat or go fishing and catch bass and catfish. HOA’s are only $100 a month and include a Fitness Center, Tennis Court, basketball court, picnic area, playground, swimming pool, and an adult only pool. Not looking to move yet? Lot prices range from $60,000 – $250,000 and you can build when you’re ready! Lots start at ¼ acre to over 1 acre. Homes in Plantation Lakes are built by The Home Team, Coastal Carolina Homes and Parkside Homes. SC Real Estate Network would love the opportunity to help you find the perfect home in the perfect place! Contact this community’s expert for your free Relocation Guide by calling Monika Gutridge, Realtor, at 775-813-0621 or by email at Monika@SCRealEstateNetwork.com. Listing courtesy of Hunt Realty , Victoria Hunt. Listing courtesy of RE/MAX Southern Shores-Conway , Travis McClure. Listing courtesy of Dunes Living Real Estate , Tracy Friend. Listing courtesy of Realty ONE Group Dockside , Matt McLeod. Listing courtesy of Plantation Realty Group , Robert Mason. Listing courtesy of RE/MAX Southern Shores , Stacey Campbell. Listing courtesy of Palmiter Real Estate , Pamela Palmiter. What is The Grand Strand? "Building Relationships while Fulfilling Dreams!"